Strap in guys, because we’ve just scoured Sydney to find 100 of the best cafes in the city and things are about to get serious. By serious we mean seriously tasty, obviously. If you thought you were hungry before, then this coffee-fuelled, breakfast bowl and B&E-packed list is about to kick you straight into hangry territory. You’ve been warned—these are our all time favourite cafes in Sydney and yeah, you’re welcome. 1. Penny Royal is all about the simple things. They even do a sourdough toast with hummus, roasted chickpeas and Parmesan. 2. Flower Child Chatswood makes a ridiculously pretty plate of Coco Pop waffles. 3. Speaking of waffles—they’re just as beautiful at Celsius Coffee Co. and cafes don’t come any more waterfront than this one. 4. 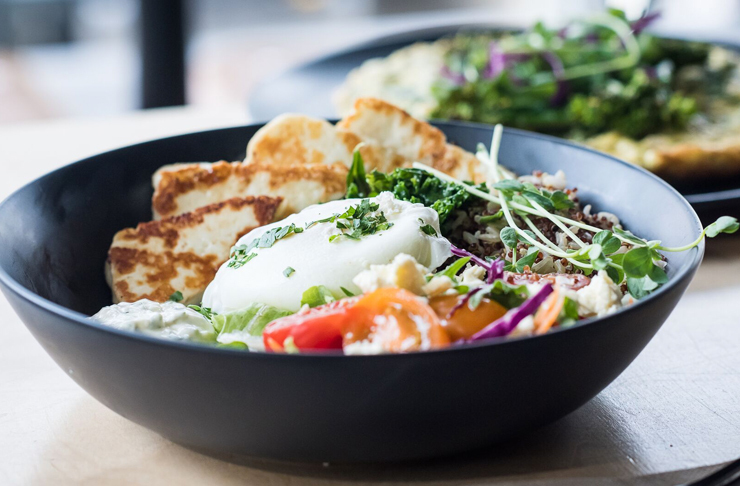 Sprout Wholefood Café & Grocer serve up giant green bowls because #healthylyfe. 5. Dachshund Coffee is the spot for great coffee; even better bants and a mean smashed avo. 6. Keep it #clean at Wild Basket with smoked salmon, dukka crusted eggs and avo on toast. 7. Laneway Café does breakfast classics right—their B&E rolls even have avo, hash browns and a spicy sauce. 8. 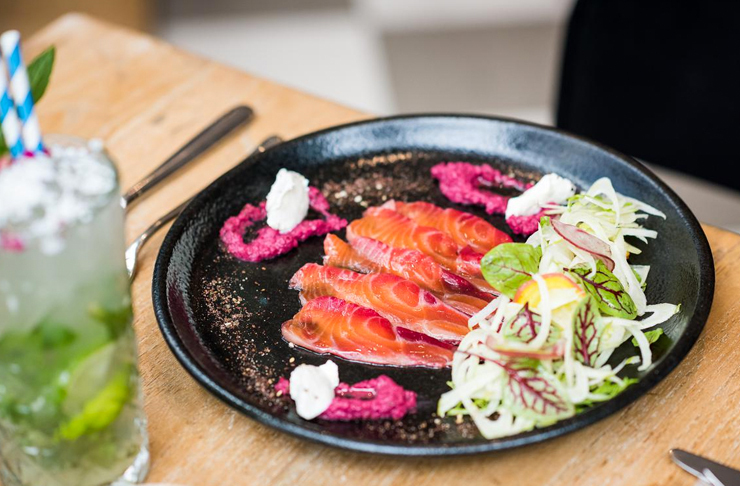 Settle into the sun-drenched courtyard at Wild Sage and order the sweet potato, corn and kale fritters served with smoked salmon, zucchini ribbons and dukkah. 9. Sometimes you just need to head for the water for brunch and in those times—the Boat Shed at Balmoral is there. 10. The Roots have perfected the art of filter (oh yes, it’s definitely an art). 11. Haloumi stacks for days at Avenue Road Café Mosman. 12. Mowbray Lane Cove has next-level eggs benny with more hollandaise than you can handle—get on that. 13. Alchemist Espresso wants to warm you up at lunchtime with warm Moroccan spiced chicken (and we KNOW it won’t disappoint). 14. Little Giant Roasters does classics with a twist—our pick is the salmon hash with herbed and baked potatoes and charred lemon. 15. Stick to the brunch staples at Salvage Specialty Coffee (they’re just that good). 16. Industrial chic and halloumi is Bay Ten Espresso in a delicious nutshell. 17. Fourth Village Providore for a big fat Italian feast (and great coffee #justsayin). 18. And Showbox Coffee wants you to take a chance on their anytime roll (house made pork sausage with special sauce, cheese, and rocket). 19. You won’t be surprised that at Cruise Espresso, coffee is king. Settle in and order two. 20. Caffeine Villains serves their pour over in a glass skull and we sort of love it. 21. Brew & I have regular deliveries from your boy Butter Boy Bake—so that means passionfruit filled doughnuts are a thing here. 22. Girdlers is by the water and serving up healthy fare daily—so that means no bikini bloat when you head here before the beach #winning. 23. Rough & Bare want you to go all out on their breakfast salad (as big and beautiful as it sounds). 24. Nine Yards has three healthy bowls to choose from and that’s the kind of positivity we need in our lives TBH. 25. Armchair Collective combines two of our favourite things: flowers and coffee. 26. Belgrave Cartel is all about the friendly faces and smashed avo and poachies slathered in pesto. 27. Meatball Mondays are happening at Fika Swedish Kitchen from 6pm. There are even vego balls. 28. It doesn’t matter whether you head to The Boathouse at Palm Beach or Shelly—sit in the sunshine and order the avo toast. 29. Ruby Lane serves up nourishing food daily, and they even host regular workshops on handy things like fermentation and bone broth. 30. The menu at Little Box Coffee Co. is short, concise, and literally, has everything you need before 12pm. 31. Barefoot Coffee Traders are coffee specialists, which basically means they won’t bugger it up and they’ll even learn your order if you’re a regular. We know—it’s all we want in life too. 32. Blackwood Pantry has lines out the door on the daily; so once you get to your table, settle in with a coffee and coconut hotcake. 33. Grind in Cronulla is one of the best Southside cafes and you’ll want to order a cold drip with your brekky (trust us). 34. They take their coffee pretty seriously at White Horse Coffee, so grab two. 35. We’re pretty firm believers in hair of the dog. Yes, it’s not a café, but once you have had the bacon and egg roll from the Miranda Hotel after a particularly big night out, it won’t matter. 36. HAM is a family-run café and deli where the menu is packed full of big generous portions of nourishing food. Enough said. 37. Edmonds & Greer is another café that combines coffee with home wares and we don’t hate it (read: we love it). 38. Don’t hold back at Pilgrims—order the big breakfast (just make sure you wear stretchy pants). 39. Culture Bean Café is all about acai bowls with alllll of the trimmings. 40. Brasserie Bread is the fool proof carb-fuelled plan. Always. 41. New kid on the block Rushi is serving a fresh AF Marrickville roll roll and it’s literally a slaw-filled banh mi. 42. Lox, Stock & Barrel, because we love a New-York style brekkie, particularly one that involves smoked lox and stacks of pastrami. 43. The raw breakfast salad from Ruby’s Diner in Waverly is life. 44. At Shop & Wine Bar in Bondi, you’ll find nothing but locals and a mean salad. Seriously. Order any of the salads and it’ll be the best damn one you’ve had. 45. Indigo in Double Bay is an eastside institution, order the organic coconut water bircher and soak up the sunshine. 46. The burgers at Sonoma café in Alexandria are the pleasant surprise you didn’t know you needed today. 47. 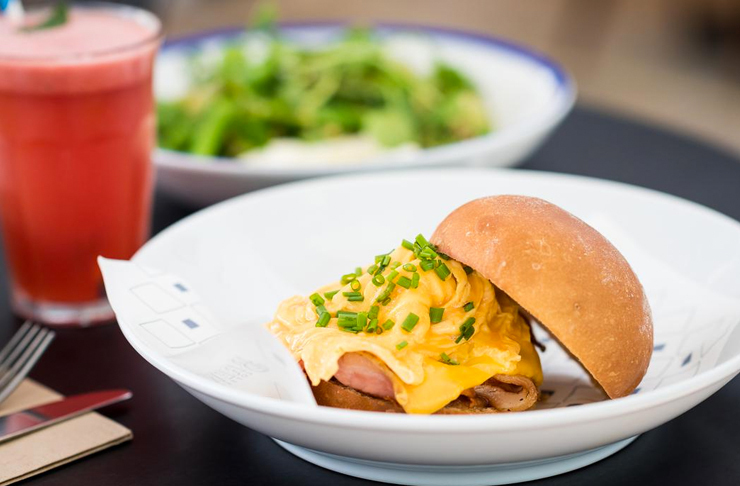 Brown Sugar is a family-friendly Sydney café with a vast breakfast menu and we can’t go past the black stone eggs, Moroccan eggs, and ancient grain porridge. 48. Three Blue Ducks is known for both their hearty and healthy options, but our fave is the classic scrambled eggs with black sausage. 49. The Clean Treats Factory is one of the most beautiful cafes in Sydney and everything is 10% guilt free. Sold? We thought so. 50. Wieczorkowski is a Polish cafe that’ll have you emptying your wallet while filling your stomach. Be sure to try the traditional Pierogis. 51. Porch & Parlour has an endless queue, but it’ll be worth it once you tuck into your green pea pancakes (trust us). 52. 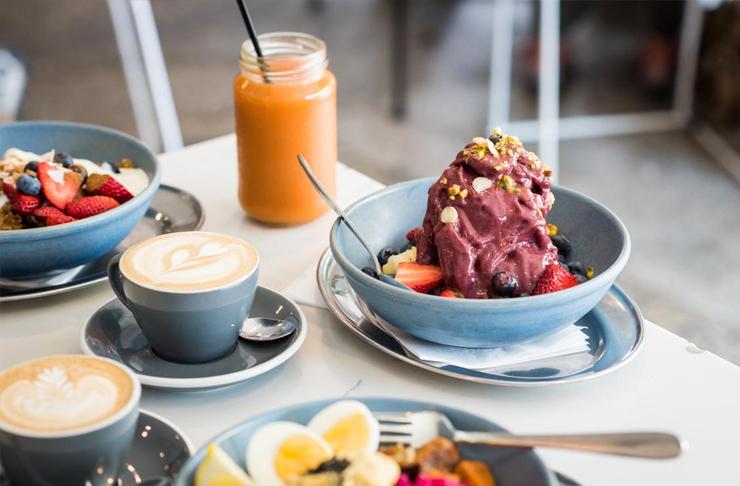 Jo and Willy’s Depot in Bondi is one for the Bondi hipsters, with staples like acai granola and brekkie bowls loaded with kale, quinoa, buckwheat and wild rice. 53. Bellagio Café doesn’t do things by halves, so their avo smash is everything you need on a Sunday morning. 54. 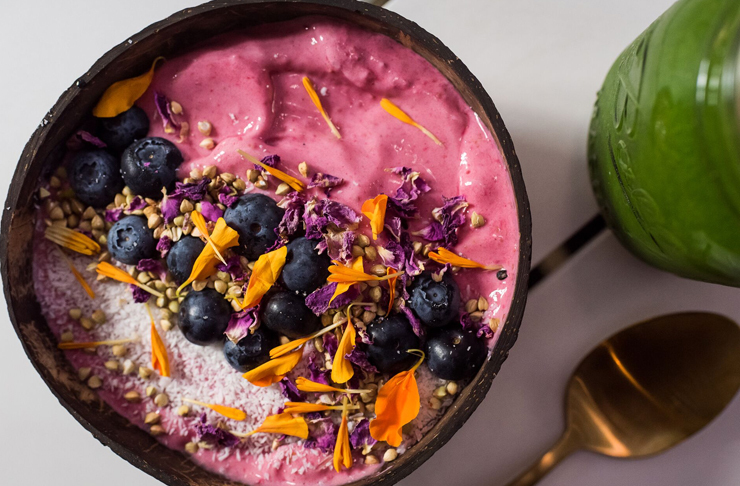 Needless to say, we’ll be ordering the acai bowl (with the lot) from Bondi Wholefoods. 55. Add chorizo to the traditional shakshuka at SHUK and thank us later. 56. Edition Coffee Roasters don’t play by the rules—they have bacon and egg noodle fritters, served with konbu roasted tomatoes, pickles and bonito. 57. The Nine knows their way around a bowl and we love the Mediterranean bowl (as big and delicious as you’re picturing). 58. Harry’s is always a winner—especially when you order the ricotta hotcakes. 59. Jackies is a damn institution in Paddington and it’s not just because the coffee is top notch (although that is very much the truth). 60. Bloodhound Espresso is Darlinghurst’s answer to a French toastie, we’re talking a Croque monsieur and toastie hybrid (why didn’t we think of this?). 61. A YUGE all-day breakfast menu is happening at Marcelle on Macleay. 62. The Tuckshop Glenhaven does a pretty delicious tradie roll (that’s a double bacon B&E with a hash brown thrown in, FYI). 63. Youeni makes pretty much all of their food in-house—from the coconut yoghurt to the house loaf and we just love it all. 64. The bread and butter pudding at Circa Espresso are almost too much to handle. Jokes, they’re perfect. 65. Henri Marc is Penrith’s answer to ridiculously beautiful fare and we love the granola (it’s better than you’re picturing—trust us). 66. The Baron will always mean a constantly rotating menu and batch brew for us. 67. Cafenome roasts their own coffee and is serving up the most beautiful avo toast in Sydney. Yep. 68. Gelato sliders are a go at Ristretto & Co.
69. Cornersmith has two inner west cafes and they’re both delish. Grab the eggs and as many sides as you can handle. 70. Daisy’s Milkbar for hearty, home-cooked everything. 71. Brewtown Newtown for allllll of the baked goodies (and a fabulous scrambled egg). 72. Two Chaps does a ridiculous (in a good way) pasta night—plus, they roast their own beans. 73. Go all out at Cuckoo Callay with the bacon mac daddy—then have a nap (you’ll need it). 74. Bread & Circus will keep those summer bods in check thanks to the breakfast with Gwyneth. 75. The Grounds Of Alexandria—garden vibes, breakfast boards and a giant pig. 76. Grandma’s Alexandria for the best damn shakshuka of your life. 77. The giant cookies at West Juliett sell fast, so get in there. 78. The watermelon cake from Black Star Pastry is a classic for a reason. 79. Grab anything to go (seriously, it’s all good) at Store Espresso then take it over to the park and enjoy it in the sunshine. 80. Warren & Holt is the perfect post gym spot and their green omelette is boss. 81. Revolver will feed you up (big time) with their big breakfast or veggie breakfast—both as big and as extreme as you’d imagine. 82. Pretty plates are flying all over the place at trendy Balmain café, The Hunter Works. We need one of their jam-packed bagels in our bellies ASAP. 83. Dutch Smuggler is the home of the Mi Goreng toastie and surely that’s enough said. 84. Skittle Lane is minimalist-chic and all about the brews. 85. Henry Lee’s is a Redfern local with a cheeky sense of humour—exhibit A is the ‘the proud girl’, AKA grilled sourdough topped with house made meatball sugo, pesto scrambled eggs, fried herbs (!! ), fresh parmesan and za’atar. 86. Regiment CBD is a not-so-hidden gem in the CBD and salmon bagel with egg, kale and pickled onion is everything. 87. Mediterranean and Middle Eastern breakfast means that you’ll be feasting on things like shakshuka and falafels Kepos Street Kitchen. 88. Surry Hills coffee staple, Ruben Hills is a must. Don’t question it. 89. Same goes for Paramount Coffee Project—order the bacon and kale roll (yep). 90. Cross Eatery for their all day salad. 91. Cook & Archies is the Central hideout that you’ve been searching for. 92. Brickfields bakery knows their way around a killer loaf of sourdough. 93. St Jude and their salted caramel French toast (!! ), which is topped with all of the banana. 94. Also the pain perdu (that’s French toast to you) at The Walrus is drenched with maple syrup and it’s a firm yes from us. 95. John Smith Café is known for their speciality coffee and huge bowls of goodness—you know what to do. 96. Three Williams is killing it at the narni game. 97. The Grounds brings the 1920 vibes to the CBD and we’ll just order one of everything. 98. 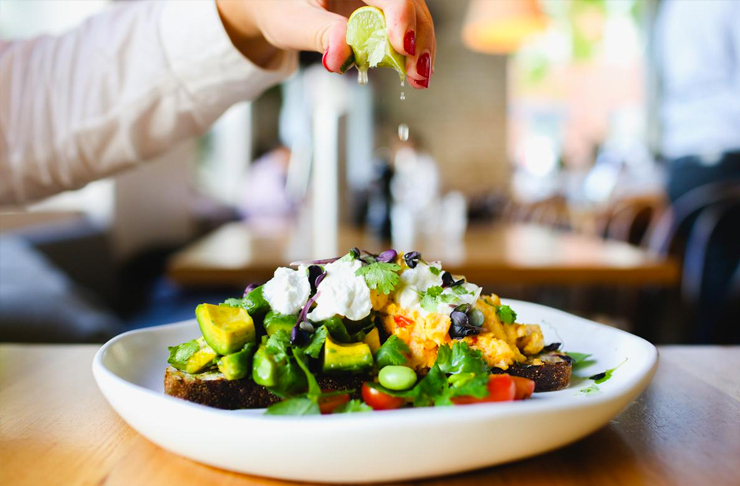 Pablo & Rusty’s is a classic—so order the classic smashed avo with tomatoes, fetta, poachies and seeds (and a flat white on the side). 99. Happy As Larry serves pizza and breakfast panna cottas (enough said?). 100. Now that you’re hangry AF, keep it classy with an espresso and pancakes at Kansas City Shuffle this weekend. In the mood for an epic Korean BBQ feast? Read this.